Labrador Retrievers – who doesn’t love them? 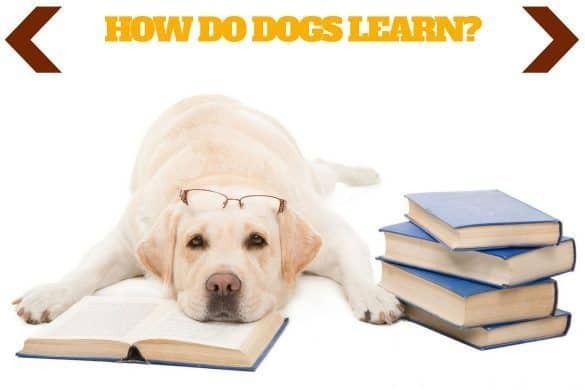 As one of the most rewarding dog breeds in terms of their loyalty, love and playfulness, Labs are undoubtedly the most beloved of companions. However, if there is a downside to owning a Lab, it’s the continual and vigorous chewing of anything that isn’t nailed to the floor! 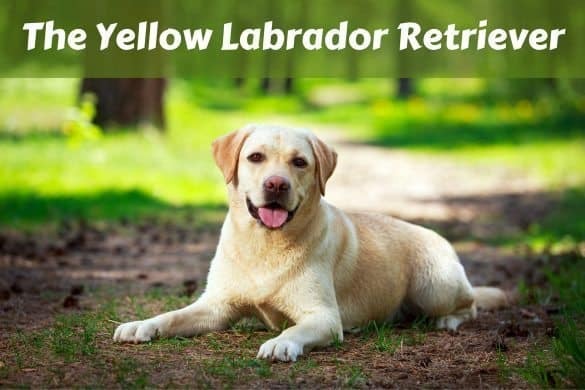 As a retrieving breed initially bred to retrieve items in their mouths, labs have a predisposition to carry objects around and chew on them. This is very much an innate characteristic of Labs. If you’re in a hurry, check out our top pick, Kong Extreme Dog Toy. So What Should Dog Toys For Heavy Chewers Be Made Of? To help prevent destructive chewing, your best bet is to invest in some high-quality, durable toys that they can chew on instead. This isn’t necessarily as easy as it sounds. Labs are often such vigorous power chewers that they can destroy your run-of-the-mill chew toys within minutes, even those that market themselves as "indestructible dog toys". We’ll guide you through exactly what you should look for in suitable dog chew toys that can withstand even the most enthusiastic of chewers. Read on to discover both how to choose and our recommendations for the best, toughest dog toys suitable for heavy chewers. 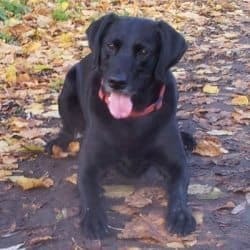 Although durability and the ‘fun factor’ are obviously important, safety is paramount when it comes to choosing toys – you don’t want your Lab ingesting broken pieces of toy and causing themselves internal damage. 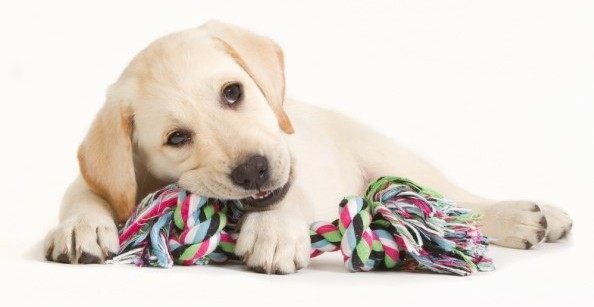 So, what does safety mean when it comes to chew toys for your Lab? 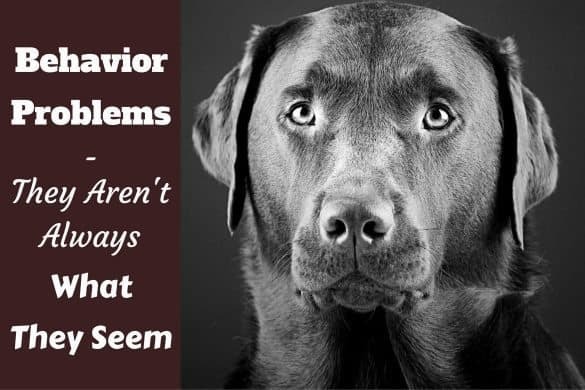 Toughness is obviously important, so it stays intact while receiving a hammering from your Lab, but it also shouldn’t be too hard and put too much pressure on your dog’s teeth either. Compromise is everything! Also important is the chew toy’s material composition. Always opt for non-toxic materials as the toy will be spending a good amount of time in your dog’s mouth. Obviously, we want to avoid swallowing chunks of toy as much as possible, but if they are going to have pieces floating through their digestive system, the toy should be made of non-toxic materials. Don’t try and second-guess your dog’s power to destroy when it comes to choosing the best toys for them. That potent mix of boredom, willpower and determination in a Labrador can be destructive so make sure the toys you decide on are more than strong enough to withstand heavy chewing. As always, it’s imperative to keep an eye on your canine companion as they chew to ensure no real damage — to the toy or your pup — is going down. Small parts dislocating from the toy or a seemingly shrinking size should make you put the toy straight in the bin — your dog should not be allowed to ingest parts of their toys. Huge numbers of toys are touted as ‘indestructible’ nowadays and it’s easy to fall for the persuasive sales rhetoric. Chances are, however, it isn’t indestructible and may even be demolished within mere minutes of meeting your Lab. It’s best to take the indestructible moniker with a pinch of salt, and buy those on the advice of others who can attest to their toughness. Make sure that you avoid stuffed toys or those made of a plush material too. Yes, they’re certainly cute, and often very cheap, but there’s a reason for this – they’ll be eaten for breakfast (hopefully not literally!) by a vigorously chewing Lab. Their durability is close to non-existent if you have a strong chewer. From a safety perspective too, plush toys are a no-no as an aggressive chewer can easily swallow the stuffing. Tread with even more caution with squeaky toys — they are a clear choking hazard if the toys are pulled apart. Though vinyl is a little tougher than latex, we wouldn’t consider either material tough enough to withstand Labs who chew hard. They, too, often come stuffed with squeakers so if your Lab is chewing on one, watch carefully that it doesn’t come free from the toy. Although earlier we warned against falling for the ‘indestructible’ sales pitch, you can rest assured that genuinely hard rubber toys are the closest you can get! Indestructible chew toys don't exist, every toys life will come to an end, but some can last many months and quality hard rubber toys are easily the best candidates, being the most durable toys on the market. 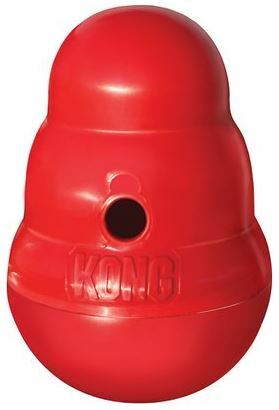 You may have already come across the Kong brand? Although a little more expensive than lower quality toys, they are one of the most trusted brands on the market for their safe and durable products and also have a huge product selection to choose from. You’re sure to be able to find the perfect fit for your pup! Rope-style chew toys are a good bet, especially from a durability point of view. Their fibrous material is tested and proven to be strong enough to withstand vigorous chewing, while also being incredibly good for cleaning your dogs teeth. And, good news for busy owners, they’re incredibly easy to wash which is important because many dog toys end up extremely smelly after days or more of being subjected to dog slobber and being thrown around outside. Look out for cotton rope toys that are almost always exceptionally thick, with dense threads, hinting that they might be indestructible doy toys, or come pretty close. If you’re worrying about your Lab swallowing a few loose threads, don’t lose sleep over it as they will easily 'pass through' if swallowed. The temptation to opt for cheaper plush or vinyl toys is understandable, but remember that from a safety and durability angle, they simply don’t make the grade against the superior hard rubber toys. It’s a false economy to continually buy cheaper toys for dedicated chewers and much more financially prudent to invest in a more expensive, yet more durable and safe product like the hard rubber toys. We’re talking here about toys that will stand the test of time over a number of months and years, rather than being destroyed within minutes or hours of bringing them home from the pet store. A single high quality toy that lasts a year is so much better — and cheaper — than buying a $5 toy every month that only lasts a day or two. Quality costs more — but saves in the long run! 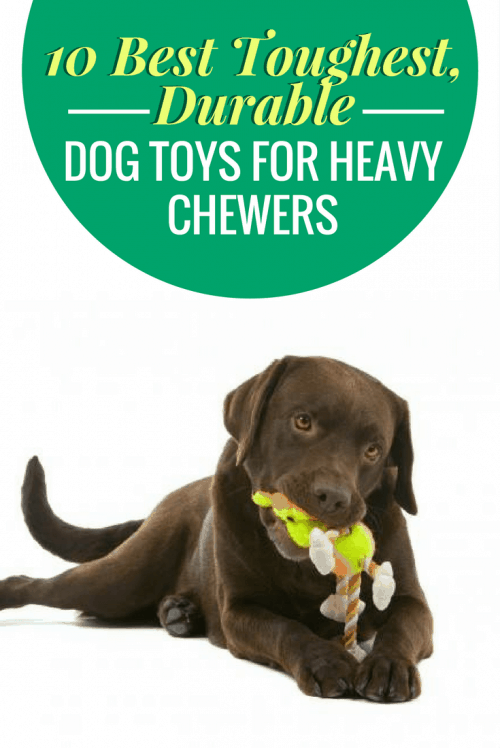 We know that it’s hard to find the perfect dog chew toys for your vigorously chewing Lab so we’ve put together a list of the top ten best toys for strong chewers that we believe are the crème de la crème of the market and sure to keep both you and your dog happy. 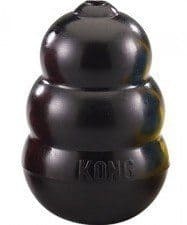 Undoubtedly the market leaders, Kong toys were invented decades back in response to the founder’s German Shepherd needing a tough toy to keep him entertained. We love that there’s such a huge variety of different toys on offer in the Kong range – you’ll certainly be able to find something perfect for your Lab. Many of them can even be stuffed with treats for some added fun! Touted as the world’s strongest chew toy, the Extreme is perfect for the dog who continues to amaze you with how quickly they can destroy. It’s universally popular with chewers and is used even by police, drug enforcement and military K-9 teams, as well as the Schutzhund and AKC competition trainers. Recommendations don’t come much higher than that! Made using carbon Black Ultra-Flex™, the Extreme is puncture-resistant and comes close to being an indestructible dog toy. It’s non-toxic too and can even be stuffed with treats, which is guaranteed to keep your heavy chewer occupied, stave off boredom and ease any separation anxiety they may suffer from. For this reason, the Kong is also recommended for owners about to start crate training with their dogs. The Extreme also doubles up as an interactive toy to help you get involved in playtime. It has an unpredictable bounce on it due to its undulating curved design, which is perfect for games of fetch with playful pups. 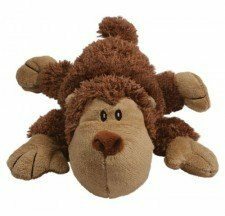 Living up to its name, the Wobbler toy is a fantastic plaything for your Lab as they try to control it and stop it wobbling, falling over and rolling away from them. Primarily a food dispenser, the Wobbler can be stuffed with your Lab’s kibble or favorite treat and occupy your dog for hours on end. 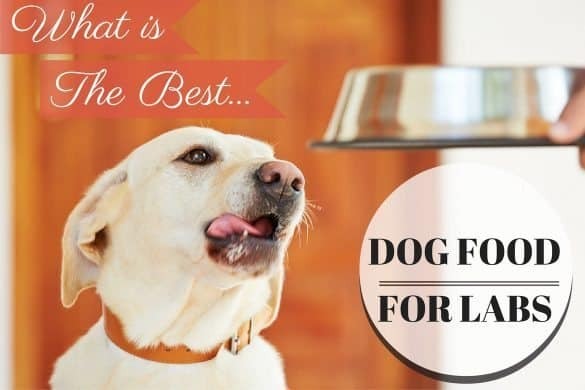 This means it’s a great toy to use with dogs that eat their food too quickly when it’s set out in front of them in a bowl – the challenge of retrieving their food from the Wobbler will be enough to get them to slow down and savor. 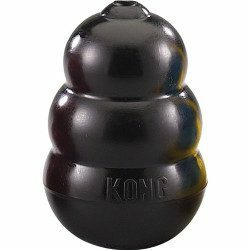 As always with Kong toys, durability and toughness is guaranteed with the US-made Wobbler. 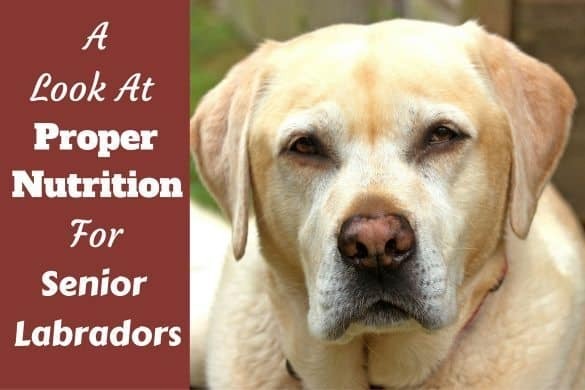 The real stand-out feature, however, is the fact your dog will be mentally and physically stimulated with the effort needed to retrieve the food and treats so boredom and destructive chewing will seem like a lifetime away. As an added bonus, the Wobbler is dishwasher safe and also has an easy twist off dispenser – just because your Lab may have a challenge getting the food out shouldn’t mean you have a challenge getting it in! Moving away from the more traditional dog chew toys for a moment, here we have the perfect interactive toy for frolicking in the park with your Lab. The Wubba is a ‘tug-and-toss’ toy, whereby you toss it, your pup chases and catches it, fetches it to you when you can then also use it for a game of tug. It’s comprised of two balls – one of which is a squeaker and the other a tennis ball – and some strong fabric ‘legs’ which your pup will adore pulling and chewing on. Durability and toughness is key as always, so the balls are covered in super tough nylon while the fabric legs are equally heavy duty. There’s a variety of colors and sizes available and even an option of plush fabric, which may be more appropriate for lighter chewers. Remember that it’s always best to supervise your Lab when they’re chewing on toys, and especially if there are balls inside which they want to retrieve. Much like the original Extreme toy, the Extreme Goodie Bone is incredibly durable and tough, therefore perfect for withstanding dog's teeth. 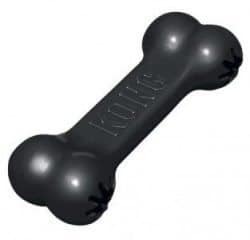 Shaped like a bone and made of super strong natural rubber, this power chewer toy can also be stuffed with treats to keep a dog's mind busy, trying to work the treats out. This will ease boredom and stave off destructive chewing in your Lab as well as easing any separation anxiety they may suffer from. 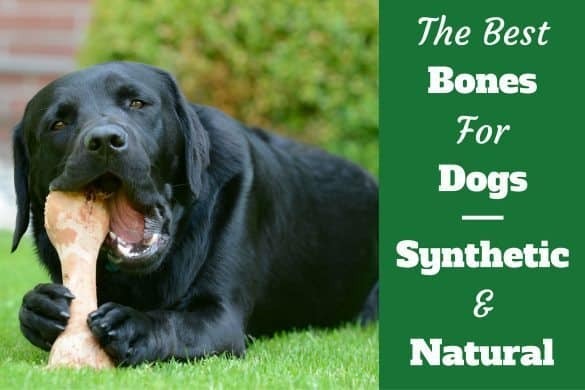 Made in the US of non-toxic materials, the Extreme Goodie Bone is also puncture resistant. One of the most interesting features of the toy is the patented ‘Goodie Grippers’ to be found at each end of the bone where you can stuff the toy with treats. 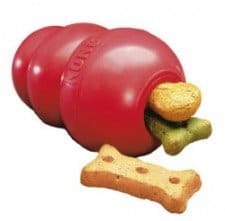 The ‘Goodie Grippers’ make it harder for your dog to retrieve the food, which serves to increase the effort, both mental and physical, of your dog as they go to town on the toy. You’re sure to return home to a tired, yet satisfied dog! What dog doesn’t love squeaky toys? Earlier we warned against toys with squeakers as they can become choking hazards if a dog rips them apart. Thankfully, the chew toys from this band are tough enough to withstand the most aggressive of chewers and the Squeez Stick, in particular, protects and recesses its squeaker very well. More of an interactive toy than a standard chew toy you would leave your Lab at home alone with, the Squeez Stick has enough features to be a truly versatile toy. Made of non-toxic, thermo-plastic rubber, it’s the perfect compromise for your Lab of chewy and durable while also able to bounce unpredictably — and it floats on water too! This guarantees hours of fun, whether you’re inside or outside, on dry land or near water. The Squeezz toys come in a variety of shapes, sizes and colors so you have plenty of options to find the perfect one for your Lab. We'd say these are the best balls on the market that are tough enough to withstand heavy chewing, while also being a super fun toy for your Lab to get their teeth into, literally! Although some of the following aren't strictly "balls" — more like "balls with a twist" — have a spherical shape and serve the same purpose, entertaining your dog exactly the same way. Tennis balls, footballs — they're just too easily destroyed and the costs soon mount up. But the following will last most dogs many months while saving you a pretty penny. An especially sturdy ball, the 'Jolly' brand was initially started up to create ball toys for horses so it has a proven track record of creating products that stand up against strong teeth and hard chewing. After discovering how popular the balls were with heavy-chewing dog owners, a little tinkering helped adapt them to dogs’ wants and needs and they’ve been appreciated by dogs and their owners ever since. 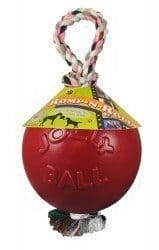 The Jolly Ball with Rope is designed to be kicked, tugged, thrown, carried and launched, all of which equals a great ball toy for playing with outside! It won’t deflate if your dog does puncture it and it also floats, which is ideal for keen swimmers. Made of non-toxic Polyethylene plastic – safe for both you and your Lab – and sturdy rope for ‘tug and toss’ games, this toy is heavy duty and durable. The Jolly Pet Balls are available in a variety of sizes and bright colors so you’re sure to find the perfect fit for your pup. As we discussed earlier, rope toys are perfect for big chewers due to their intense durability and safety-conscious material composition. This Nuts for Knots toy is just as tough and substantial as it looks and promises superior durability to other rope ball toys on the market. It has an impressively sturdy handle too so you can get involved in some seriously interactive games of tug of war with your dog. 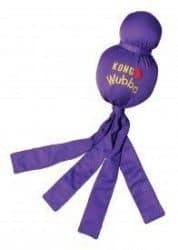 Perfect for large dogs like Labs, this Nuts for Knots Heavy Duty Toy is approximately the size of a shot put so is sure to keep your pup occupied for a serious amount of time. The clue is in the name with this ball toy ­– your heavy-chewing Lab is not going to have an easy time destroying this virtually indestructible piece of equipment. 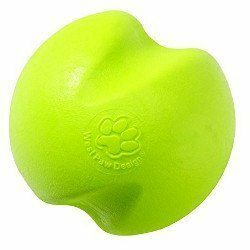 Made in the US by 'West Paw Design' with non-toxic, environmentally friendly and recyclable material, this ball is super tough and ideal for the most destructive of chewers. The manufacturers are so sure of it's durability that it comes with a 100% guarantee. Ideally shaped for an unpredictable roll or bounce, this toy is great for interactive throwing and rolling games. It also fits into the Chuckit Ball Thrower to really exercise your dog. The bright colors also make it stand out and easy to find when thrown on any surface. This ball is bound to be a hit with any pup. The US made Orbee-Tuff SnowBall is incredibly tough and durable; so much so that Planet Dog are prepared to 100% guarantee its toughness “any time, every time”. While you’ll be delighted at how long it lasts, your Lab will love the ball’s captivating mint aroma and rough textured surface that makes chewing and playing with this toy a joy. 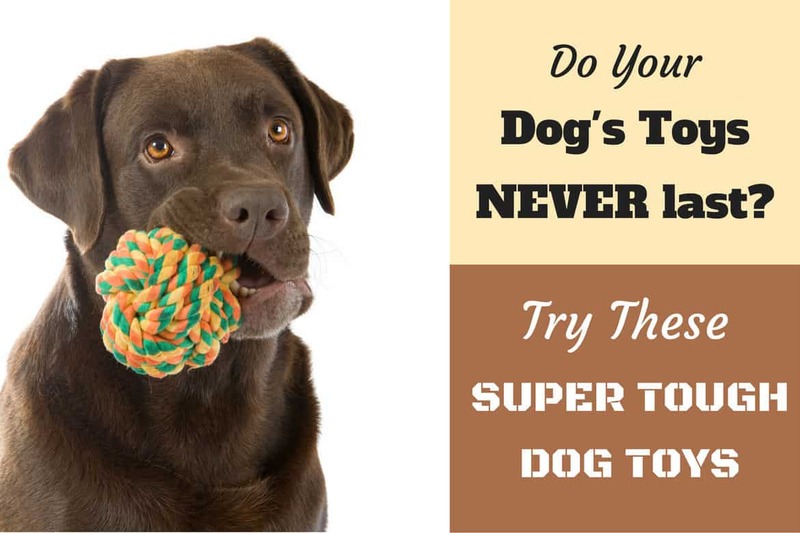 This strong chew toy has other features that make it the perfect interactive play ball, such as its ability to bounce and float, for Labs that love to fetch and chew hard. Hollow on the inside, the ball has two small ventilation holes on the side that allow the ball to squish down once it’s bitten on and then bounce back into position once it’s been released so there’s no need to worry about your Lab wearing their teeth down on hard plastic. 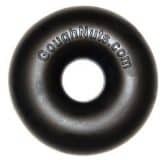 OK, it's not a ball, but made in the US by mechanical and polymer engineers, this GoughNuts toy is an ideal throw toy for the powerful jaws of aggressive chewers. So confident are the inventors in the strength of their product that they guarantee the indestructibility of the toy and are willing to replace it if your dog manages to chew through the tough outer layer. And if your dog does chew through to the red layer, GoughNuts will replace the toy free of charge! Shaped like a ring donut, this toy will be a firm favorite with your Lab who’ll love chasing after it, picking it up and carrying it around in their mouth. The toy also floats so is a fun addition to your play routine if your pup is a keen swimmer. Hopefully, you’re now equipped with the knowledge and recommendations to help you choose the perfect toy for your Lab who chews hard. Remember to avoid plush, stuffed toys as well as vinyl or latex – these materials simply don’t make the grade against heavy chewers. It’s cost efficient and safer to start thinking of a chew toy as an investment for a number of months or years so focus on quality materials and fun features that your Lab can’t help but love. You can’t go wrong with hard rubber and sturdy cotton rope and, if in doubt, always opt for the ultra-durable Kong brand! Hopefully these toys can stand up to my Rhodesian Ridgeback, Kiera. Kiera does best with some of the kong toys but I keep looking for other toys to keep her stimulated and busy. They’re a big powerful dog! Let us know how you get on, Donna. I have a 6 months doberman mixed with a labrador and so fare the only toy that last more then 2 months is the black pear shape Kong everything else he was able to find the weak spot and break it. For my sister’s 2yo chocolate Labrador, I purchased a Kong ball with a through hole for Christmas day. I also purchased marine grade rope of around 20mm in diameter and tied it around the ball to form a ring, with a reef knot. I visited my sister again on the 29/12/2016. Looking out the back glass door, I asked what the mound of white fluffy looking stuff was on the back lawn. It was the marine rope, completely destroyed. IT LASTED 4 DAYS !!!!!! Fairly helpful article but as I was looking on some of the reviews on Amazon about these toys several worried me enough not to purchase. 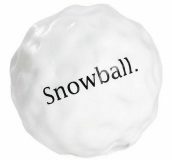 The one I found that had good reviews was the Snowball one. Will try it — my guy is quite the destroyer of toys. Yes, years ago I had a lab-collie cross, and nothing, and I mean nothing lasted long with him, hence why we describe no toy as truly indestructible. Some just last a little longer than others with extremely determined chewers. Hi there has anyone heard of or tried K9Connectables? K9 Connectables are interactive dog toys designed to engage, stimulate and entertain your K9 pal for sustained periods of time. They utilize your dog’s natural instincts to hunt and work for food, challenging them to unlock the treats inside! I would love to try them. Are they sold anywhere in the US? that Kong squeezz toy is trash, my 6 month old pit mix ripped the top off in 2 hours. We LOVE West Paw toys. That ball is awesome – we have 4 of them. The original we’ve had for 2 years and still looks brand new. I also highly recommend West Paw’s Tux toy. I stuff it with shredded carrots and yogurt and freeze it and it keeps Gwen & Odin, our two pit bulls, occupied in the evening when we’re trying to chillax. These toys aren’t cheap but well worth the price! I have a Golden Retriever (Jack), dedicated chewer, I can see him delicately placing his teeth in just the -right- places (seams or so) everytime. Plush toys last him 5 minutes, and those woven ropes last him less than a day. This is pretty much guaranteed the best chew toy. I bought Jack the regular red Kong and sometimes fill it with PB or treats. It’s been almost a year and it has slightly worn out on the edges, but is still going strong. This is a must. Jack tore the upper spongeball in 15 minutes. And one day later he took out the big bottom squeaking ball. This one I really liked, I sometimes took it from him and played with it a little bit, the crunchy sounds are very relaxing. Thought it was a winner as Jack spent plenty of hours playing with it, but this week he found the way to finish it. Given that Jack is a chewing beast, I DO RECOMMEND this one. It lasted around 2 months. Which is like a decade in non-Jack years. I’d definitely add to your least the ‘Bene Bone’ products. I got Jack the Bene Bone “Wishbone” and it lasted him weeks, maybe a month or even two. Pros – Long lasting, chicken, peanut or bacon flavored. 3 different styles. Cons – Nylon product, some people may be thrown off by this.